Why own a Megapaints store? 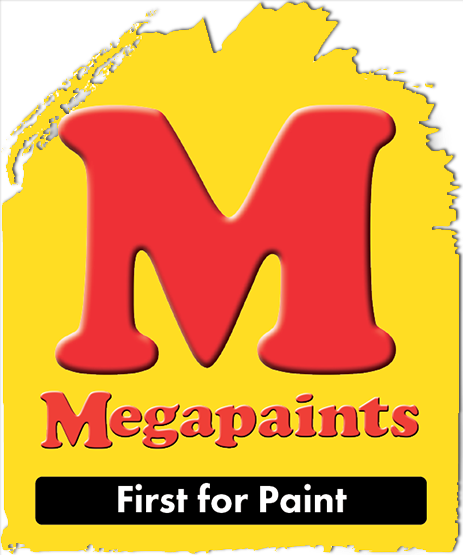 The Megapaints brand is identified with the finest quality products and services, and is recognised as one of the top paint-selling brands in South Africa. By connecting yourself to this trusted and recognised brand, you will be drawing a larger amount of customers to your store. As a Megapaints, you will be able to offer your clients the best products, solutions and advice at highly competitive prices. This puts you in the position to offer amazing value for money. Megapaints is an ever growing brand, and already boasts with a number of stores. By owning a Megapaints, you will be able to benefit from combined buying power, which means that you will receive amazing deals from the many different suppliers that we have a relationship with. You will also receive annual rebates from suppliers who favour our brand. We strive to form ties with even more suppliers, offering you a vast selection of products to feature in your store. As a group, we are focused on continuing to build this brand and taking it to further heights. Our ultimate aim is to be first on people’s minds when they think of paint and paint-related products and services. To achieve this goal, we are dedicated to finding the best marketing solutions to benefit all our stores. Our marketing strategy includes making use of any new technology, such as social networking and digital media. Our dynamic website is another great means of advertising. In the near future we will also be offering a training programme. We are sure that this programme will increase your sales greatly. Some of the subjects will include customer service, management, product training, merchandising, etc. Please be advised that we need this information in order to verify whether you are able to own a Megapaints. Please make sure to fill in this form correctly. Are you going to pursue the opportunity on a full time basis? In which area are you interested in opening a Megapaints store? Why are you interested in a Megapaints store? What business and/or retail experience do you have? What unencumbered cash do you have on hand to invest in a Megapaints store? What do you hope to achieve through owning this business? What are your interests and hobbies outside the business setting?